Something that will come as no surprise to any gamer ever are the ways in which the games we play open our minds to various possibilities in the real world. I am endlessly fascinated by this topic. One of the more mundane examples of this was my realization that I had never eaten a persimmon in real life, but due to Animal Crossing New Leaf, I got all curious, bought one, Googled “how to eat a persimmon,” and ate it. Mild and delicious. Thank you Animal Crossing. And Google. Recently, I found myself a bit down over minor setbacks. These miniscule issues aren’t even of note, until I realized how my gaming life has influenced my way of going about things. I’m a lot more patient and willing to try different approaches to various problems because of my gaming habits. This life-puzzle doesn’t work this way? Okey dokey, I will try to solve it this other way. I think about so many of the games I’ve played and how often I’ve seen my character die onscreen. How often do I get back up, pick up where I left off, and try again? I think about games like Knack. Knack was incredibly punishing (for me, at any rate), and somewhere in the middle of the game I realized I wasn’t having fun anymore. I stuck with it anyway, playing certain sections sometimes a dozen times over. It wasn’t fun. I wasn’t even sure I was proud of myself for having stuck through it. But I didn’t give up. And I like that as a trait. Killzone Shadow Fall was possibly the most frustrated I’d ever been while playing a game. I had a decent enough time of the main game (even the flying sequence through those falling buildings), but it was the GD mission after the credits (don’t worry, I won’t spoil much here…other than my poor attitude) that made me furious. It was a timed mission, and it was supposed to take a few minutes. It took me several hours to actually beat it. 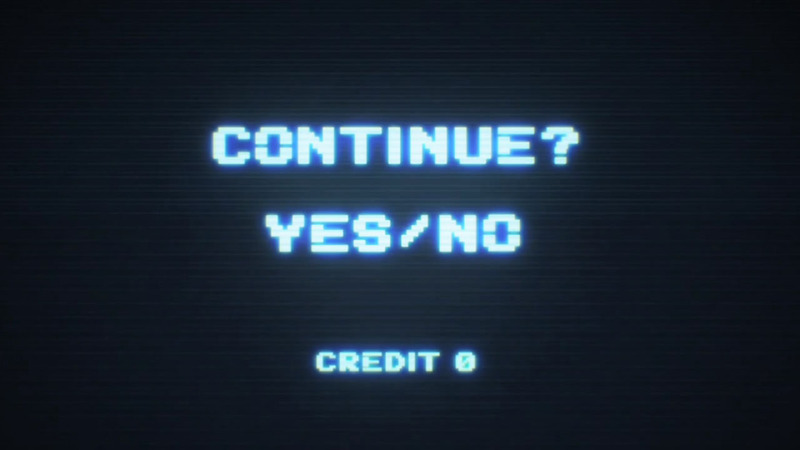 I stayed up all night to finish the game (and who puts an impossibly difficult mission after the credits, anyway? honestly. ), and I was not in a bright and shiny mood come sun up. I was as foul as a game had ever made me. But you know what? I didn’t give up on that BS mission. Compare this to the hundreds of times I’ve died in the Borderlands series: those deaths don’t bother me at all. Sure, you lose money, but it’s rarely more than you can afford (except at the beginning when you may need those few dollars to buy ammo for a boss fight). You just respawn at a New-U station, and off you go! Were it always so easy. In Alice Madness Returns, there are many places you can fall to your “death,” however, there is no penalty. And I actually found the way it happened to be very nearly soothing: you dissolve into a puff of butterflies. I had been mildly agonizing over a few constellating things today. Things that will take time and effort (or both) to find a happy resolution to. I am not the world’s most patient person. I want things to happen now. I understand things don’t always work that way (but HOO-EEE when they do! ), but it doesn’t mean I can’t hope for speedy solutions. I had really been down about it, and tonight, as I died for the grillionth time in the crucible in Destiny, I realized I have to just keep going, to push that continue button of life, because that’s who I am. I just keep going. I have all the credits. I can do this. Would I have been this way without games since my youth? Perhaps. Am I better for having learned these lessons I put into digital practice on a regular basis? With that, I bid you a weekend full of glorious gaming, and I express my gratitude for each of you spending your time reading this. You are neato, neato people. That was a interesting read and have a good weekend.